Located just outside the city of Lordsburg, near the state border with Arizona lies Shakespeare Ghost Town. Walk in the footsteps of famous cowboys and outlaws such as Billy the Kid and John Ringo and view seven living history re-enactment shows including ‘Death over an Egg’ where Ross Woods was shot and killed in the dining room of the Stratford Hotel by Bean Belly Smith. There’s also ‘the silver nuggets visit Shakespeare’ where beautiful Can-Can girls were once greeted with riotous enthusiasm by rowdy cowboys and miners. In the early 1900s Dawson was a roaring coal mining town with its own newspaper, a theatre, hotel, hospital, golf course and bowling alley, but by 1950 several mining accidents that resulted in the death of over 350 miners left the town deserted. 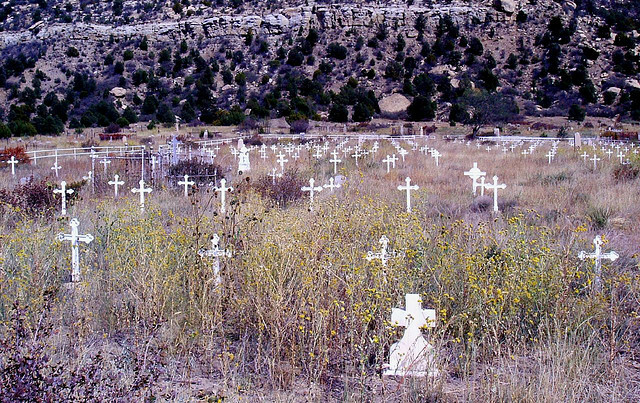 The town, in north-east New Mexico, now stands empty and with the graves of those lost in mine explosions marked by a single white cross. Once an old ore mining town with a reputation for being a tough cowboy haunt, Lake Valley Ghost Town to the west of Monument Peak, and north-west of Las Cruces is today hosts visitors exploring the old buildings and the restored school-house. The site is also famed for beautiful views across the area and still has a working mine nearby. 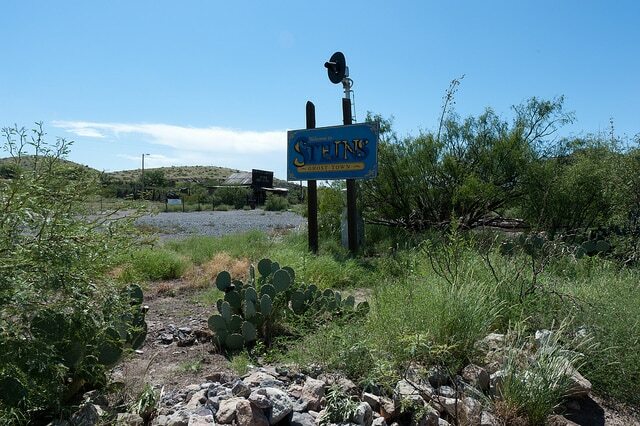 Move away from the mines and visit Steins, an old railroad town named after Captain Enoch Stein, a US army officer. During the late 1800s and early 1900s a number of railway tracks were built through the Steins and today it is one of the most well-preserved ghost towns. Steins in the south-western corner of New Mexico, still has its period furnishings revealing exactly how a western town used to look. Set right in the centre of El Grande, New Mexico is this old trading centre for ranchers and farmers. When it became clear that the land surrounding Yeso was no good for farming many people left the town, leaving behind the empty shells of family homes, a motel, garage and shop. New Mexico is a popular destination for timeshare with RCI and Interval International offering exchanges to 27 resorts in the state. 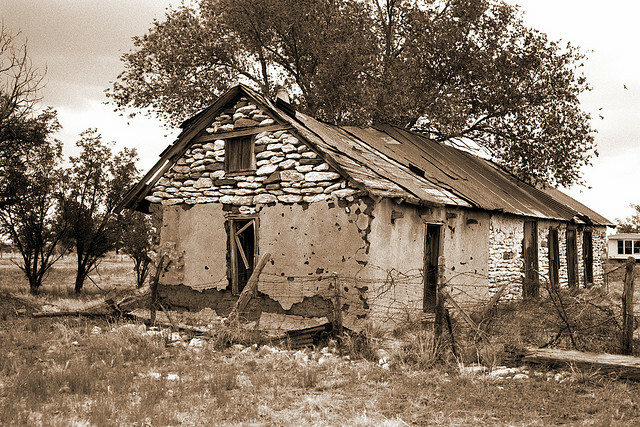 Find more information on the ghost town state. 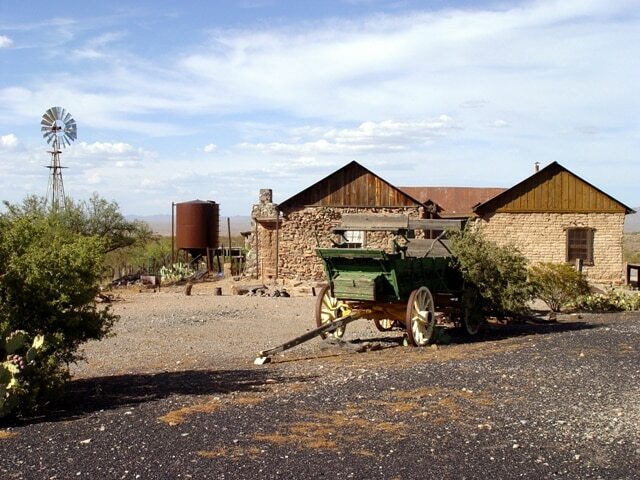 I love the history of the wild west, the ghost towns and the histories of these places. coming from Wales in the UK, all we have are old castles. Thanks Robert – the Wild West certainly has it’s stories and characters, but we also love the castles of Wales – such fascinating history, not to mention the fabulous coastline! Are you nuts…I spent 4 yrs in England..old castles…talk about history..I spent as much time as I could touring the “old castles” and found it amazing, and if given a choice…I would pick your history over ours any day! yes but I was brought up on the Saturday morning cinema of the old cowboys, like all kids we played with guns and wore our cowboy hats,then we had John Wayne. History is basically what you see as a kid Jessie James Billy the Kid. Love the west! Great photos and informative. Ah yes but we grew up with the Cowboys, the Saturday morning westerns in the cinema. I had a set of guns cowboy hat, and to be honest westerns were our lives, we did not play Kings and queens, but of course cowboys and Indians. I come from one of the best castles in Kidwelly West wales. But John Wayne and of course Roy Rogers , believe me History of the wild west is written into our lives. I think it would be fun to see a ghost town. It’s one of the things that I’ve wanted to do in the West. Agree with you Leigh – although the idea of a ghost town ever so slightly freaks me out, it’s too tempting to miss. 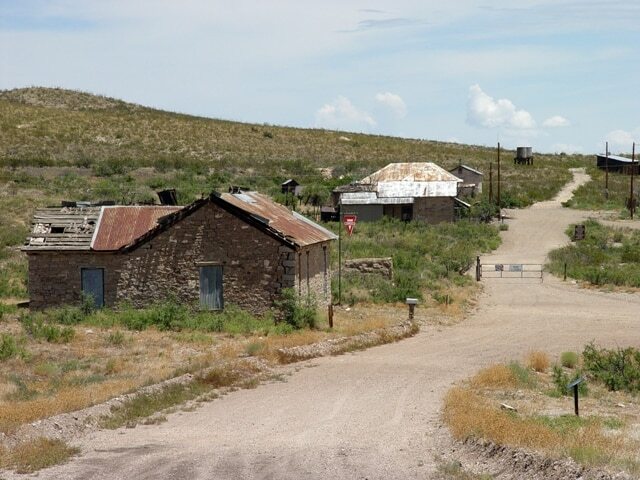 FYI – many of these ghost towns are on private property. 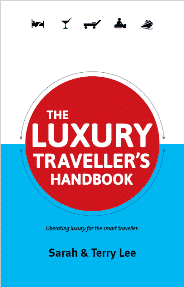 You can’t just visit them on your own – you have to make arrangements to enter. For example, Shakespeare,NM is only open once a month or by prior arrangement. There is a fee ($10 I think) to be guided around. It is interesting to hear why the town existed & why it failed. The buildings are original & some have had some structural repair.